'"Careful George, he's tooled up!" This book is a vivid and fascinating account of policing some of the era's most serious crimes, written by an experienced, retired police officer.' – A review by David Pickup for the Law Society Gazette, read the full review here. You'll be £19.99 closer to your next £10.00 credit when you purchase Scotland Yard's Gangbuster. What's this? Order within the next 6 hours, 42 minutes to get your order processed the next working day! In the late 1960s the Richardson Torture Gang and the Kray Twins were removed from the London scene by ACC Gerry McArthur and Det. Supt. Nipper Read respectively. Predictably it was not long before the vacuum this left was being filled. With McArthur retired and Read moved on, who was to sort out the new gangland threat? Step forward Detective Chief Superintendent Bert Wickstead. Having cut his teeth on young desperadoes and neo-Nazis in North London and solved London’s biggest post war bank robbery, Wickstead was well qualified to head up the Yard’s Serious Crime Squad. First to fall were the Dixon brothers, followed by the Tibbs family. As his fame spread he took on the West End Maltese Syndicate specialising in prostitution and extortion. When he broke up the Norma Levy call-girl ring, two cabinet peers had to resign. 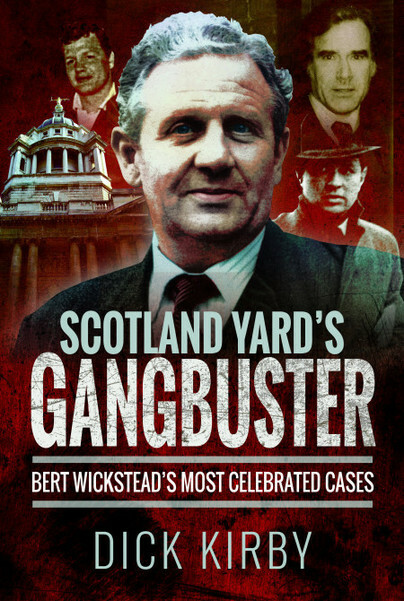 Inevitably Wickstead’s career was dogged by unproved allegations of malpractice but, as this riveting ‘insider’ account conclusively proves, he more than earned his sobriquet ‘The Gangbuster’. This book is a vivid and fascinating account of policing some of the era’s most serious crimes, written by an experienced, retired police officer. I enjoyed Scotland Yard’s Gangbuster, which is a good biography of an enigmatic and controversial copper. for the aficionados there are inevitably repetition of previously written about cases. criticism of Bert or his times.